pressure conditions. This is not the case. 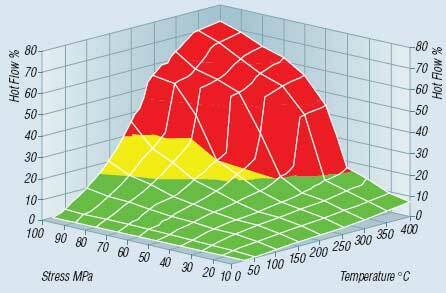 Maximum temperature and pressure values alone can not define a material’s suitability for an application. These limits are dependent upon a multiplicity of factors as shown in the diagram opposite. 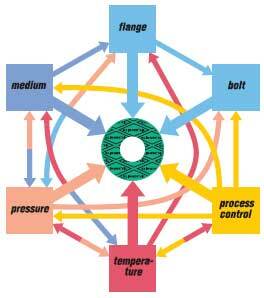 It is always advisable to consider these factors when selecting a material for a given application. 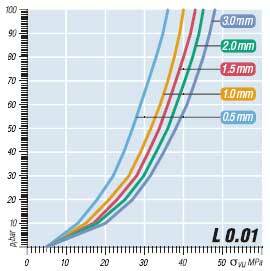 The Klinger pT diagram provides guidelines for determining the suitability of a particular gasket material for a specific application based on the operating temperature and pressure only. 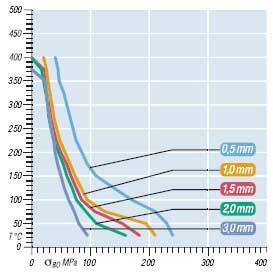 Additional stresses such as fluctuating load may significantly affect the suitability of a gasket in the application and must be considered separately. 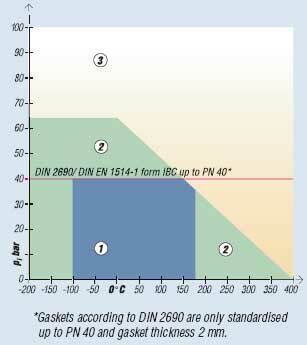 Always refer to the chemical resistance of the gasket to the fluid. 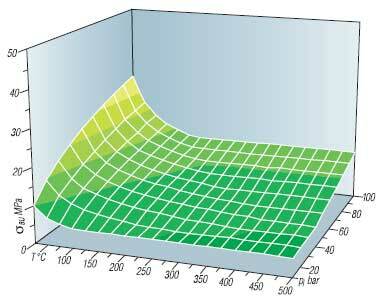 (2) In area two, the gasket materials may be suitable but a technical evaluation is recommended. 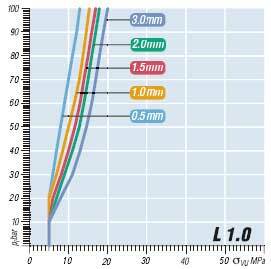 (3) In area three, do not install the gasket without a technical evaluation. 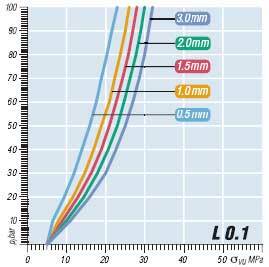 The thickness decrease is measured at an ambient temperature of 23°C after applying the gasket load. 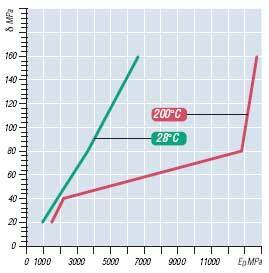 Temperatures up to 300°C are then applied and the additional thickness decrease is measured.This simulates the first start up phase.